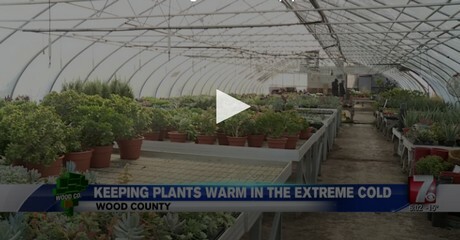 With extreme the cold holding on, not only maintaining the temperatures inside the greenhouse is a challenge, continuing cultivation is too. With growers preparing for spring, many should be planting, but shipping the cuttings to the greenhouse worries some. Growers update us today again on how they keep on growing with the cold going on. 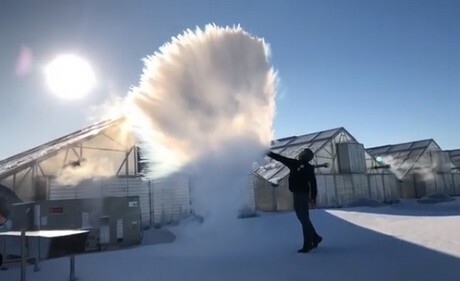 At vegetable growers Gotham Greens the team ran outside to do this little experiment - and afterwards they ran quickly back into the warm greenhouse. Check out the video on their Instagram. "The upper Midwest has been at about -35 C the last few days and that is where the biggest problem is. We are -20 C at 7:00 yesterday morning", says Doug Cole D.S. 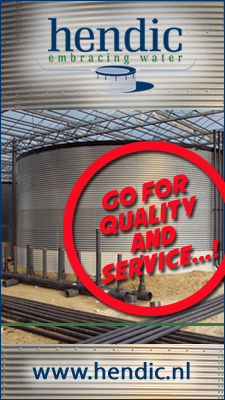 Cole growers, who grows ornamental finished and young plants in Loudon (NH). And finding out the best and safest way to ship the cuttings is important during this time of the year, when growers are preparing for spring. At Mill Creek Gardens in Marshfield (WI) for example, they're supposed to be planting the cuttings now, but those are stuck on the road. "Those are on a truck that broke down near Madison ", owner Danielle Winer told WSAW NewsChannel 7. Imagine starting your first crop and having your first plants being delivered whilst the worst cold of many years is taking place. That's what happened to Christ Mastronardi in Ontario. To him, the cold was pretty frightening. 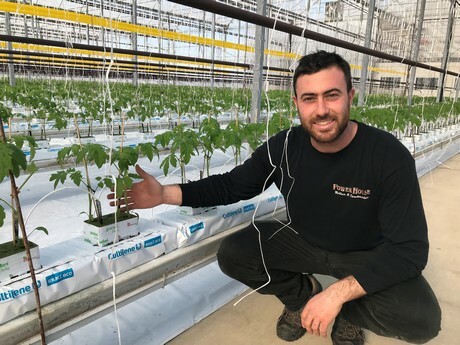 Last year, Leamington Produce bought the 7 acre greenhouse from Reid Greenhouses and his first crop was underway this week. "It was very cold Tuesday and Wednesday with the delivering, but all plants arrived in good shape", he states. The plants, ungrafted Touche beef tomatoes, were propagated by Roelands Plant and they take the opportunity to congratulate him on the new venture. The end is in sight for southern Ontario's bout with extreme cold this week, as temperatures are to improve starting today. Yesterday a total of 1292 joules of sunlight was combined with a minimum temperature of -22 degrees. Whereas glass greenhouses mostly saw no problems realising the setpoints even during the night, in poly greenhouses temperatures lowered to 18 degrees. Heating up the pipe temperature might often not be of use, since the plants are to suffer from the heath and the dry, active climate. A slightly lower temperature will do fewer damage to the crop. 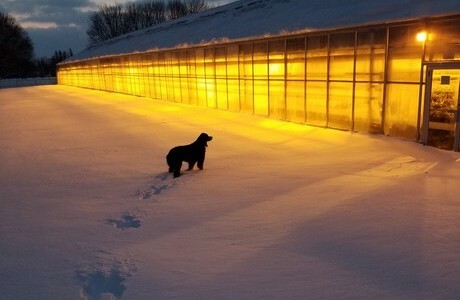 Growers in glass greenhouses keep one curtain closed during the day - since the glass often is frozen, it's too cold to open and far from energy efficient to open the energy curtain. Click here for the article on the show we published yesterday.